According to the Occupational Health and Safety Administration (OSHA), excavating is a manual process of dirt removal that results in a cut or deep cavity in the ground. Trenching is a type of narrow excavation in which the depth is much larger that the width. The latter typically does not extend beyond 15 feet. One simple way to remember the difference is that not all types of excavations result in trenches but all trenches involve excavation. 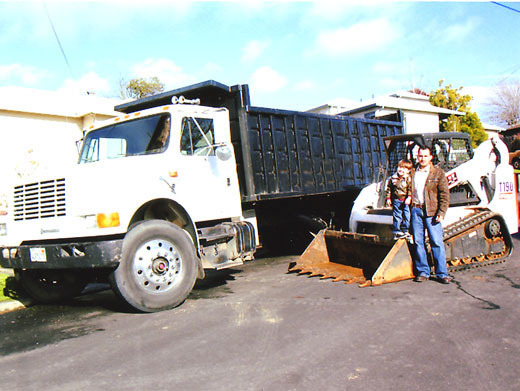 The trenching and excavation pros at Have Dumptruck Will Travel have the experience and expertise to get your toughest job done safely and and cost-effectively. Some homeowners are do-it-yourself types, regardless of the project. However, even these independent types have a limit. Excavating, trenching, and removing the dirt uncovered from this labor-intensive work can be complex and difficult. Accidents involving mobile equipment: Backhoes and dump trucks colliding with construction vehicles is an all-too-common experience. One reason for this is the obstructed view from these vehicles can make it difficult for drivers to see that they are getting too close to the trench’s perimeter. Cave-ins: When a trench collapses, it can cave-in and suffocate the workers inside. Trench cave-ins kill an average of two workers every month. Contact with utility lines: Striking a utility line while digging with an excavator can cause natural gas leaks and immediate electrocution. Depleted oxygen levels and toxic fumes: The deeper the trench, the more likely it is that workers will have difficulty breathing inside of it. Toxic gases and fumes getting into the trench is also a problem. Injuries from falls and falling loads: People working on a trench can fall into it without a safety barrier in place. Equipment can fall in as well. Another common problem is sustaining injury from objects such as a heavy load of dirt falling on a worker. Excavation is the first step of many home improvement projects. Foundation repair is just one example. Several factors can affect the stability of a home’s foundation over the years, including soil erosion and severe weather. An excavator will need to come to the home to remove dirt around the foundation before it’s possible to repair it. Landscaping projects also require excavation to remove dirt in some areas and flatten it in others. Some specific examples of landscaping related to excavation include the installation of a trench or water feature. 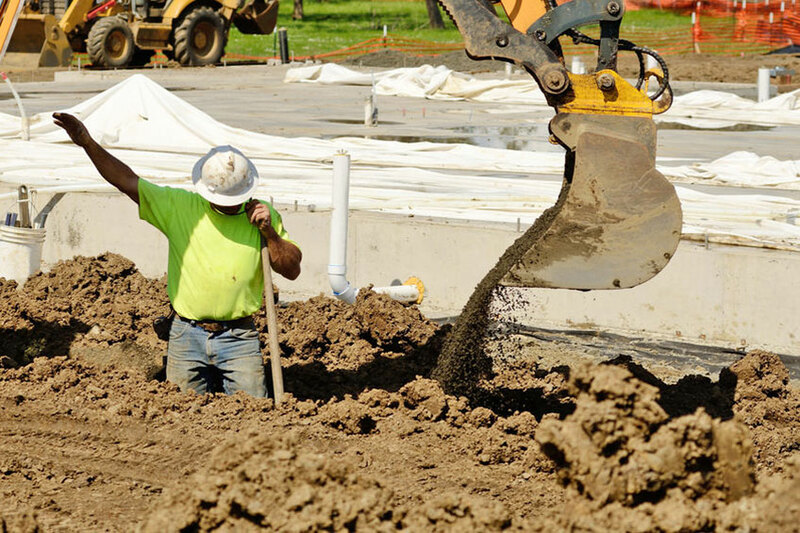 Repair or replacement of a home’s septic system is yet another example of a time when professional excavation is essential. The digging process makes it possible to get at the septic system in the first place. Any home improvement project that requires digging, excavating, or trenching can leave a mountain of unwanted dirt behind. One idea is to create a berm to hide something that is not aesthetically pleasing in the yard. It’s also possible to use the dirt as potting soil or to fill in raised beds. If all else fails, homeowners can place an ad for free dirt or request pick-up from Have Dump Truck Will Travel.